PRODUCT DETAILS: Wilbur Curtis Standard Stainless Steel with Wire Basket - Commercial-Grade Wire Brew Basket - WC-3316 (Each). This Wilbur Curtis Wire Basket is for use with their Gemini Coffee Brewer. 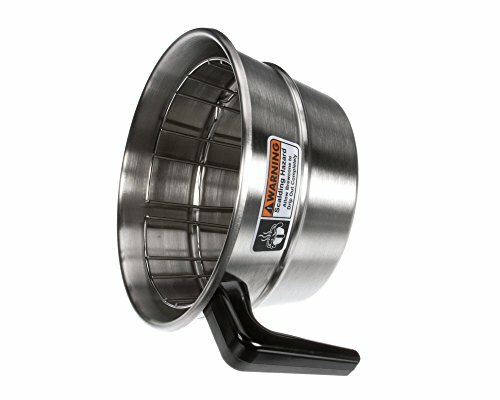 This brew cone is great accessory for your commercial coffee brewer. Easily replaces paper filters. Advanced components help maintain the durability and lifecycle of this brew cone. Dishwasher-safe on top rack. This commercial brew cone is popular in fine restaurants, hotels and other food service locations. Brew basket specifically designed for optimal extraction.